This is the last day of our 40 Days of Prayer Challenge. Whew. This challenge has been eye opening. No, more like heart-opening for me. Girls, when we pray for others, even those that we do not like so much, we change. Our icy hearts melt, and we begin to get a glimpse of God's heart. The heart that Loves, Forgives, shows Compassion, shows Grace, shows Mercy, and above all else reflects His radiant heart. Our prayers release His Divine Plan. What's better than that? Speaking of prayer, we have an inspiring post for you today! My friend, Kelli, is one of my very best friends. She is the kind of girl that just lights up a room and you cannot help but to want to know her more. 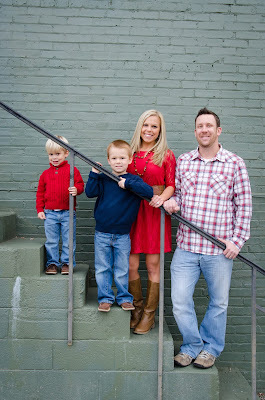 Here's Kelli and her beautiful family! 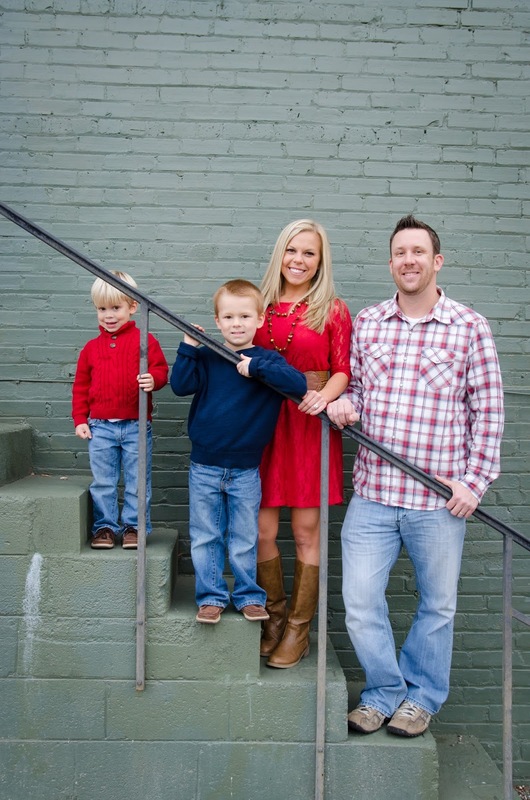 Kelli loves the Lord and she is passionate about fulfilling His plan for her precious life. Be blessed today, girls. I know you will! Hello SHINE sisters! My name is Kelli Brooks. 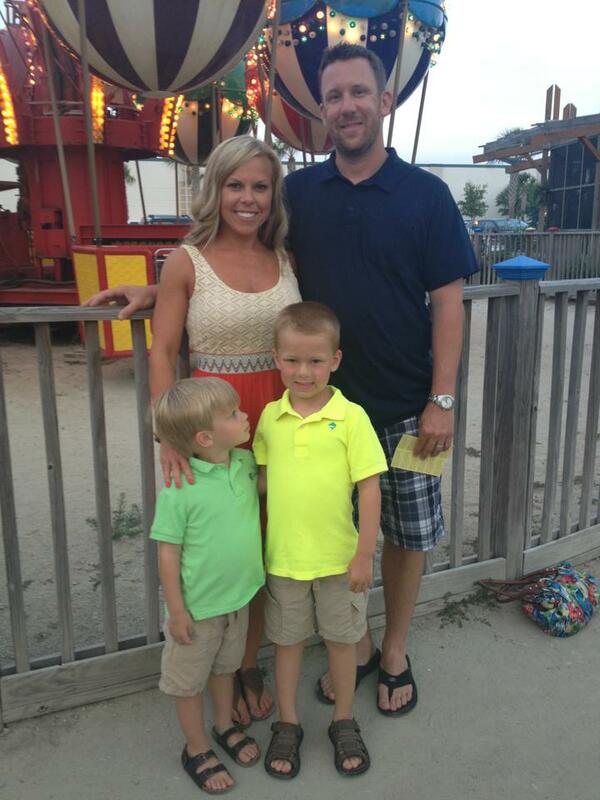 I’m a wife to Clint, a mother to 6-year-old Bennett, 3-year-old Garrett, and two teeny 4 lb. yorkies, Zeke and Sophie. I’m a social butterfly who is passionate about fitness and wellness, and fervently seeking my Lord and His will for my life. I’ve been friends with Jill for years, but through this amazing SHINE ministry, God has brought our friendship to a much more intimate level, for which I’m forever grateful. Jill has been asking me to post since last November, and she has gotten several “no’s” and “not yets” from me! For those of you who know me, I love to talk (a little too much) and a general post on my testimony and journey with the Lord would’ve been nothing short of a novel! The task seemed too overwhelming for this chatterbox! But, this time Jill asked me to post on a specific subject-a subject that has RADICALLY transformed in my life over the past year-PRAYER. I knew exactly what God wanted me to share within minutes. I’m about to share with you the 3 prayer practices that changed my prayer life, and everything else about my relationship with God. Pray for the DESIRE to pray. Philippians 2:13 “For God is working in you, giving you the DESIRE and the POWER to do what pleases him.” We know that prayer pleases him. It’s the way he designed for us to communicate directly with Him! So he will answer this prayer for you, every time! What does God care about more than anything-more than our behavior, more than our service? Our relationship with Him! So he will give us the desire to pray. And ladies, it works. I can’t even put into words how much this works. It has brought me a whole new meaning to “praying without ceasing”. I talk to him while putting on my mascara. I talk to him while my feet are pounding the pavement on a morning run. I talk to him while I’m driving, taking a shower, cooking dinner, mid-conversation with a friend when asking him to fill me with his words for her…you name it. God doesn’t just saturate the Bible with truths on the importance of prayer and then say “well, good luck with that.” No! He equips us with the desire to pray, and the power to follow through! Can I PLEASE get an amen??? Pray for DISCERNMENT, CLARITY, and CLOSED DOORS. Psalm 119:169 “O Lord, listen to my cry, give me the discerning mind you promised”; Psalm 119:25-32 (MSG) “Barricade the road that goes nowhere; grace me with your clear revelation. I choose the true road to somewhere…I grasp and cling to whatever you tell me, God. 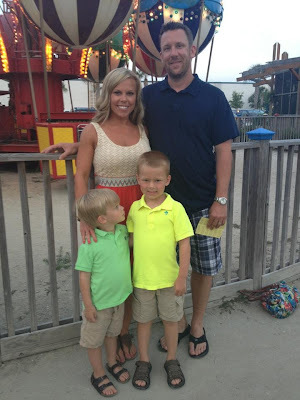 I’ll run the course you lay out for me if you’ll show me how.” For several months, my husband and I have been planning to move, and have been seeking God’s will for our family. EVERY TIME I have prayed for God to completely close the doors to things we are considering that are not His will, he has answered in HUGE ways. We were considering a few lots to build on months ago. I prayed that God would close the doors on the lots we were pursuing if they were not his plan. I specifically prayed that if the priciest lot we looked at was not his will, the cost would be an amount that we’d never consider. I prayed that the lots in our budget would be completely removed from the table if they were not his will for us. The next day, my husband calls me: “I just got off the phone with the owner of the lots. The pricy lot is WAY too high. And you’re not going to believe this, but a builder called out of nowhere this morning and put an offer on the other lots. (Side note: the lots had been on the market since 2009!). Now it’s time for a 2nd amen! I was so humbled and thankful for the answer to my prayer that I didn’t have time to be disappointed that our moving plans would be changing again! This is just one example of many where the Lord has answered my prayers for clarity and closed doors when making big decisions. Don’t be afraid to pray boldly! Our Father says we are to come CONFIDENTLY to the throne of grace! Pray Scripture. Praying scripture unleashes SO much power in our lives. Where do I even begin? It’s a beautiful form of worship. It tunes us in to the Holy Spirit like nothing else. It gives us a perfect place to start when we are too stressed, tired, depressed, hurt, frustrated, or distracted to form our own words for prayer. Sometimes I dedicate my morning quiet time to going through all my favorite scriptures, and paraphrasing/personalizing them into a prayer in my journal. I’m going to share with you my most recent scripture prayer from my journal. You will recognize many of the verses (almost every sentence is scripture), but I have not listed the verses I used due this entry being written like a prayer Yes, it’s long (I’m also a chatterbox in my journal! ), but PLEASE read through it with a prayerful heart and you’ll be blessed by God’s truths! Enjoy, and thank for allowing me to share a bit of my journey with you! Father, thank you for revealing more of my heart to me. Transform me by the renewing of my mind. You direct the steps of the godly. You delight in every detail of our lives! Though I stumble, I will never fall, for you hold me by the hand. Lord, my source of hope, fill me completely with joy and peace because I trust in you. Then I will overflow with confident hope through the power of the Holy Spirit! You will keep in perfect peace all who trust in you, all whose thoughts are fixed on you. Thank you Lord! Help me, Father, to let the peace that comes from Christ control my thoughts. Give me your peace at all times and in every situation. I crave it, Lord! Help me to turn away from evil and do good. Give me the desire to search for peace and the power to maintain it! Oh Lord, that I would conduct myself in a manner worthy of the gospel of Christ-whatever comes my way. For you are working in me, giving me the desire and power to do what pleases you. The same power that is made perfect in my weakness. Yes, Lord! I accept that gift from you Father with an open heart! You are my portion, you alone. I will trust you with all my heart; I will not depend on my own understanding. I will seek your will in all I do, and you will show me which path to take. All glory belongs to you, O’ God, whose power is at work in me! By that power, you can do infinitely more than I can ask or imagine. Blessed are those who trust in you and have made you their hope and confidence. Father, my flesh and heart may fail, but you, my precious Lord, are the strength of my heart and my portion forever! And I am certain that you, who began a good work within me, will continue your work until it is finally finished when Christ returns! Help me to not get tired of doing good. At just the right time I will reap a harvest of blessing if I don’t give up! Thank you for your spirit living in me, making it possible to do what you tell me and live by your commands. Flood my heart with light so that I can understand the confident hope you’ve given me. Help me to understand the incredible greatness of your power-the same power that raised CHRIST from the dead! I praise you, my God, for the promise that there is NO condemnation for those who belong to Christ Jesus! If I confess my sins to you, you are faithful and just to forgive me and cleanse me from every wrong! Thank you for giving your only Son, that I may live with you forever! It’s in the name of this precious Son that I pray, Amen.